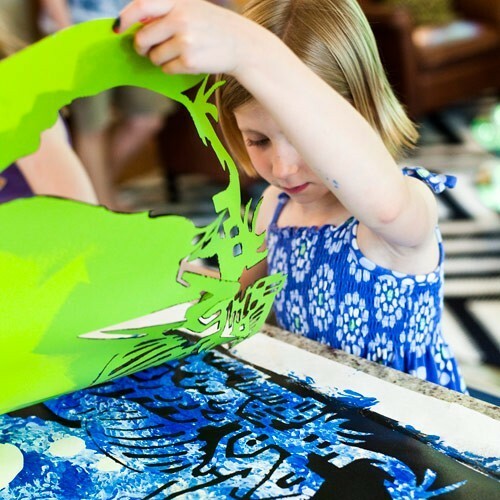 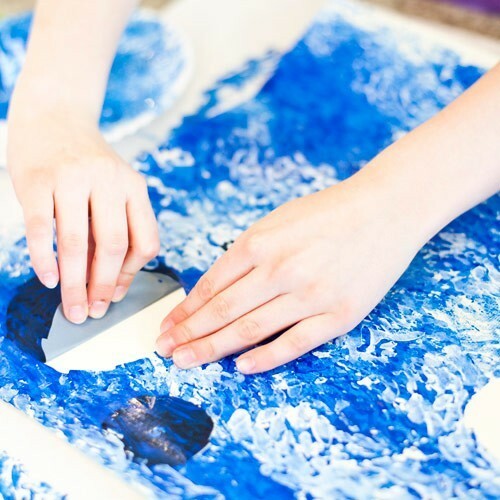 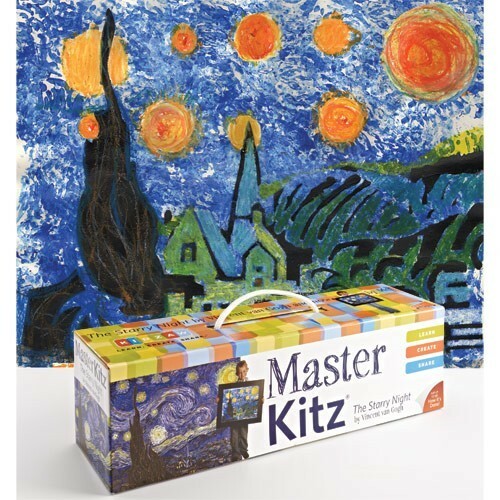 The Starry Night art kit for children includes all the art supplies and tools your young van Gogh needs to paint their own Starry Night painting. 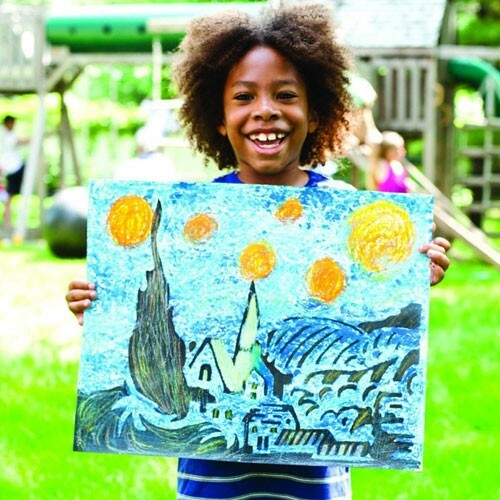 The Starry Night would have been just another landscape if it were not for van Gogh's swirling layered brush strokes that make the painting come alive. 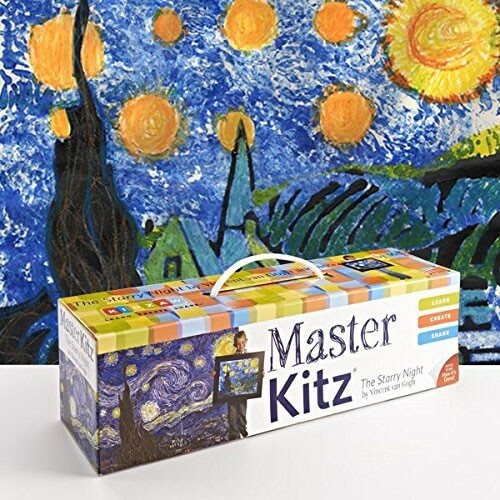 The Famous Painting Art Kit - The Starry Night by Van Gogh from Educational Toys Planet includes all the tools your young artist needs to paint their own Starry Night masterpiece. 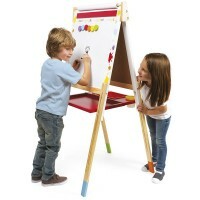 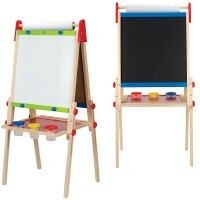 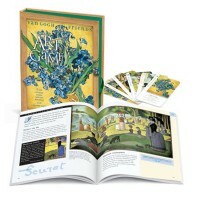 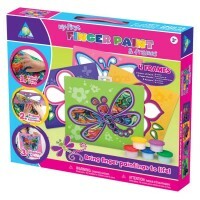 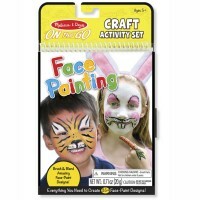 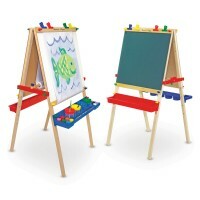 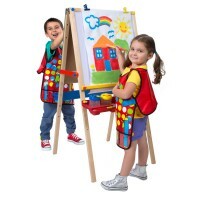 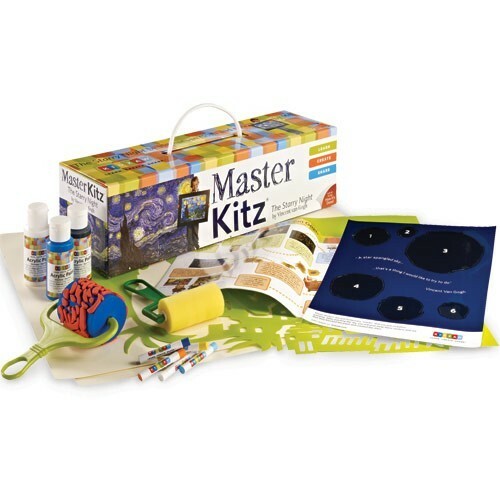 This children fine art kit comes with the learning materials to deepen kids' understanding of the original painting. 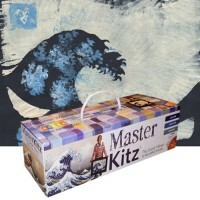 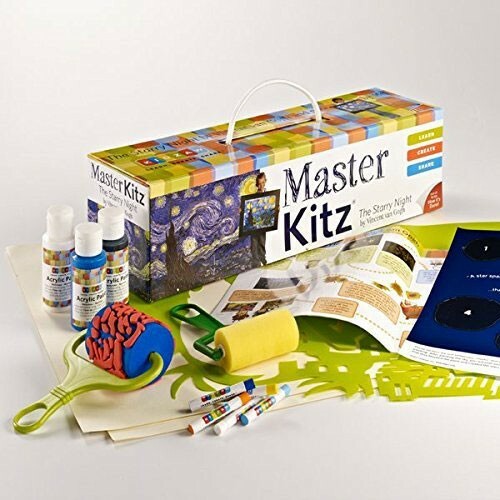 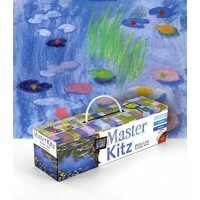 Master Kitz Famous Painting Art Kit - The Starry Night by Van Gogh includes a durable, re-usable art toolbox with magnetic closures, 3 kids-friendly custom acrylic paints, 5 child-friendly custom oil pastels, van Gogh roller specially designed to replicate van Gogh's artistic stroke, Starry Night Cyprus stencil, standard paint roller, 2 pieces deluxe art paper, low tack shining stars sticker sheet, fun and easy-to-use van Gogh learning materials, children-friendly step-by-step instructions. 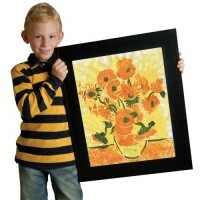 The finished art work will fit in a standard 16 x 20 inches frame (not included), so that can be displayed for family and friends. 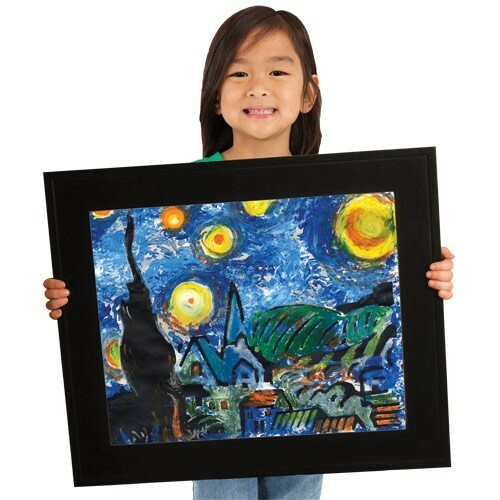 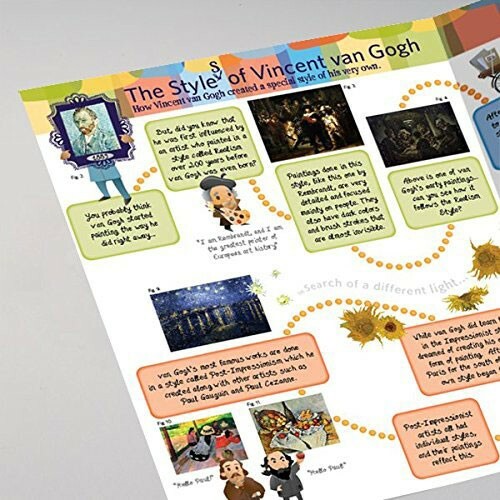 Dimensions of package 5.1" x 17" x 4.9"
Write your own review of Famous Painting Art Kit - The Starry Night by Van Gogh.